American poker pro Shaun Deeb has had a lot of success in both online and live tournaments. That includes four WSOP Bracelets, two of them this summer. A few weeks ago he was crowned WSOP Player of the Year. In addition to this title, Shaun Deeb also passed the $6M mark in his live earnings. An interview by Gaelle Jaudon. Somuchpoker: You’ve won four bracelets, and you have more than $6 million in live tournament cashes, but let’s go back to the beginning. How did your passion for poker begin? Shaun Deeb: I grew up in upstate New York, and my grandmother taught me cards at maybe 8/10 years old. At 16 I started playing tournaments at my house, and at 18 I made my first deposit online. I also started playing live around that time at Turning Stone Casino because it was 18+. I just always got into poker, and I always loved it. I enjoyed it so much that I figured out it might better be my profession. Somuchpoker: You played No-Limit Hold’em at first? Shaun Deeb: Yeah, I guess I don’t really remember what we played. There was five-card draw, several wild card games, and a seven card called Baseball, and some more. I always got hooked on mix games at a young age. Hold’em was already popular back then, but I always kind of had the surrounding of different games. There was always a little money involved no matter what age I was; I played with pennies. I think I gave away a lot of money back then! Somuchpoker: And how did you know you wanted to specialize in MTTs, because it’s a very particular life? Did you hesitate between cash game and MTT? Shaun Deeb: For my first ten years, I played strictly tournaments. I was playing cash games very sporadically, and then, when I got into mix games, I started playing more cash games. I enjoyed that a lot, and now it’s kind of 50/50 at this stage of my career. Sometimes, I enjoy one or the other, and they’re both very different styles of play and involve different skills. I think that as a poker player you need to not do the same things day in and day out, so playing Hold’em, playing mix, playing cash, etc, it really makes it easier, all the grinding that I do. Somuchpoker: You were grinding a lot online. You’re known for having multiple online triple crowns. Shaun Deeb: I don’t know if I’m really known for that. I mostly played on FullTilt and PokerStars, a little bit on Ultimate Bet. Basically, every time I won an Ultimate Bet tournament, I won a triple crown. With my volume, I was winning a lot of tournaments on FullTilt and PokerStars; it was like 200 tournaments a day, every day, without taking a break. Somuchpoker: Do you remember the very first tournament you won and how you felt? Shaun Deeb: I think the first online tournament was probably on 180 players. I played a lot of those early on. They fired; they went quick. I just went all in a lot, but I think what I remember also is my $10 rebuy; that’s probably my most famous first win and that was really my first 10K score when I started building up a bankroll. It was insane—a 50K guarantee—everyone was going all in. It was very big, maybe 5K or 10k players. Somuchpoker: This year you had a very impressive summer. You won $2.4 million in Vegas this summer and two bracelets. Did you plan before the WSOP to have a huge schedule like that? Shaun Deeb: Yeah, this year I definitely thought that I was going to play more tournaments than the years before, but with me, I could play a week of a tournament, get burned out, play some cash, find good games, and end up playing that the whole time. I’ve done that in the past. I’ve had summers when I played 5 events and others when I played 40 events. So, you know, I don’t have a plan going into it, and I just kind of see how I’m feeling, see where I’m playing well and where the best equity is. Somuchpoker: What are your average limits when you play cash games? Shaun Deeb: I usually play between 200/400 and 800/1600 limit mix cash games, but not in no-limit because I don’t think I’m good enough, and I don’t think it’s really profitable. There’s usually 7 regs and one fish, but there’s a lot more action in mix games. It’s a lot more exciting, and I think there is more money to be won there. Somuchpoker: You play at Bobby’s Room against players like Gus Hansen or Jungleman, etc.? Shaun Deeb: Yeah, I’ve played at Bobby’s Room and Ivey’s Room. They usually play a bigger game. I’ve play with them throughout the years, but lately the bigger game has been 1500/3000 or higher, so I haven’t decided to play that limit yet or sell action to play. They tend to play bigger than me, which is great because I don’t have to deal with them, and I play weaker opponents. Somuchpoker: You made your biggest score this summer by winning the 25K PLO for $1.4 million and finished the WSOP ranked in 1st place for the POY competition. You said you didn’t plan at first to play at the WSOPE in Rozvadov but that you had to do it for the POY title. Was it always a goal for you, or did it start this summer? Shaun Deeb: I’ve been close a couple times in my career, getting top five in it, and I knew I had a shot if I cashed a couple tournaments. I cashed like eight tournaments in the first ten days, so I knew I had a chance, even if I wasn’t sure what the formula at the time was for the points. But I said to myself, ok I’m going to play every single tournament and see how far I can go. Somuchpoker: What does it mean to you? Shaun Deeb: You know, it’s one of those things that throughout your career, whether I leave poker or not, I’ll always be known for that. You see those banners with the pictures of the POY winners, even if they left poker, and we still remember them every year; that’s really cool to me. Early in my career, the PokerStars tournament leaderboard was the first thing I got notoriety for, so I always cared about leaderboards, especially when it involves grinding, so that’s amazing to finally win the POY. Somuchpoker: Earlier in your career, what do you think made you become a good player? Was it your massive volume of play or some specific work with players? Did you have what we call a click? Shaun Deeb: I just got lucky to meet a lot of great tournament players early on in my career. There were many people through the 2+2 community who already had experience being pro players. I was still in college and not that good at poker, but I kind of saw what they were doing and thought it was cool, and I knew I could work a lot and make money. As the years went on, I really owned my game and improved my leaks. Somuchpoker: Now, you have a wife and two kids. How do you manage to be a dad and also a live MTT player, because we know it can be a very difficult life with a lot of travelling? Shaun Deeb: Yeah, you really don’t have a balance. Everybody thinks they can find the balance, but they don’t. I have to leave my family for months at the time, and my kids are young enough that they don’t fully understand, but they know I’ll come back. We try to Facetime every day, and technology makes it a little bit easier. But it’s definitely not the ideal lifestyle, and that’s why you don’t see me going to every single stop. I need to spend time at home! Somuchpoker: According to legend, you were playing Chinese poker when your wife was giving birth. Is that true? Shaun Deeb: You actually have the story confused. My wife was playing Chinese poker! My wife loves open face, and she was playing for most of her labor. It’s a good way to distract your mind, I guess. You know it takes a special person to deal with that poker lifestyle and deal with me. She’s dealt with a lot of hard moments, and she also has a lot of similarities with what I enjoy in life, so I’m lucky to have her, and it still works! Somuchpoker: Who are the best people you’ve met through poker? The ones who struck you the most? Shaun Deeb: Throughout my career I’ve met so many people and different generations. The first guys were like Randal Flowers and Renkal Bern, and then I progressed to my biggest family, which is Frank Kassela, Ben Lamb, Chance Kornuth, and Steve Mclaughin. Then, I headed to Florida, and I was with Jason Mercier and Brian Hastings, and I got to know Dan Weinman, Mike Lance, etc. I mean, throughout my career, I’ve met so many amazing people. We’re very spoiled because we have so much freedom in our lives that we’re able to spend time together, and if we don’t see each other for 6 months or a year, we can get together and tell stories around a drink. We all have a great lifestyle, and we’re all good friends outside of poker. Somuchpoker: Are there any people who inspire you, in poker or in life in general? Somuchpoker: Do you play any fantasy sports? Shaun Deeb: A little bit, but not that much. I played on DraftKings. One of my friends was one of their employees. I got to know Peter Jennings and a few other top fantasy guys before they really got famous. I thought that it was the next poker boom equivalent, but I knew I didn’t have the skill set for that or the time. I was starting a family, and it takes too much time. Somuchpoker: As we know, there are a lot of people you like, but who are the people you don’t like? You’re known for being pretty honest about that. Shaun Deeb: Oh…I think it’s quite obvious, #king (a Twitter guy), Will Kassouf! I mean, anyone who tanks a lot, anyone who doesn’t pay debts. So, in fact, there are a lot of people you can hate in poker. There are a lot of shady characters in poker—people who are very greedy with no good intentions. That’s the bad side of professional gambling. Somuchpoker: At what do you think you have the most edge? Shaun Deeb: Any time a new game is invented. I have a better edge on newer games because I solve games quickly. I can adapt from all the games I know and figure out which new ones are better. Somuchpoker: Have you played short deck? Shaun Deeb: I actually haven’t tried yet. I haven’t been exposed to a place where I can do it. I don’t travel to Asia yet, which is where those events are prevalent. Somuchpoker: How do you deal with fear when you play? During a big tournament or when you’re doing a huge bluff, how do you manage to handle that kind of stress? Shaun Deeb: I mean, when you buy-in in a tournament you know that money is gone, so you can’t think of the buy-in and how many chips you’re betting. People like myself, we know that when we’re playing a high roller. For example, I don’t care if I bust. I’m not going to feel stupid if I bluff it all. I don’t have backers that I have to go convince I made a +EV play. I’m going to take whatever spots feel right and a little bit of spew and a little bit of gamble—definitely helps my edge on some spots. Somuchpoker: You’re known to be outspoken and to make slowrolls. There is a famous slowroll you made versus Mike Matusow, who told you, “I’m gonna punch you in the face.” Can you tell us that story? Shaun Deeb: Yeah, I started slowrolling online. There are a couple of people, like Kevin MacPhee, who slowroll online, and I thought it was hilarious. I did it on some huge final tables early in my career, and I got known for that. So, when I did the first episode of “Poker in America,” I had that opportunity, and I just thought, I have to slowroll! And then everyone saw the clip. It was amazing, and literally the producer of the show thanked me at the end of the filming and said, “You just made our show!” That was the clip that sold “Poker in America.” They had hundreds of thousands of YouTube views, and that was perfect! I mean, I’ve been threatened many times in my career, and I’ve been hit too. But it’s no big deal; I have backup. As long as people realize it’s not malicious, it’s just part of the game. I think now people are expecting it from me, and if I don’t slowroll them, they actually get offended nowadays! I balance my slowrolls now. Somuchpoker: Apparently you’re not using solvers and trackers online. How do you keep your top game? Shaun Deeb: I’m more old school. I have no Huds, no solvers. That’s why I’m not one of the best at no-limit hold’em. My top game is nowhere near their top game, so I just find better games or tournaments where I think solvers aren’t as correct with their GTO ideas, and I think I exploit fish very well, so the weaker the field is the better my edge is. I used to play 40 tables simultaneously, and the Hud would actually slow me down and take up too much space on my screen. Anyway, I have a very unique poker mind where I remember every screen name, even from years ago, so I kind of had my personal hud in my head. When I made it to a final table, I knew how often they played, what stakes they played, what they’ve seen me do, if I four-bet them light, etc. I had all of that in my head. Somuchpoker: You don’t play super high rollers. For example, you didn’t play the 25K high roller at the WSOPE? Shaun Deeb: Sometimes the fields aren’t worth it, or, for instance, the rake in Rozvadov with the Czech fees was too high. I don’t have the ego to play super big buy-ins, and I think that’s also one of the reasons I’m still here in poker and financially stable. I don’t have that ego like a lot of people and feel that I have to play every high roller just because I’m a professional poker player. I don’t mind playing smaller, and I don’t mind not playing at all. I’m content with my life, and I’m content with my money. Somuchpoker: What’s your normal daily schedule? Shaun Deeb: I wake up with my kids, like at 8 am. I used to wake up at 2pm before, so that still hurts a little! I take one of the kids to school, and my wife usually takes the other kid to the gym with her (We have two kids, 2 and 4 years old.). Then, I have the house to myself. I usually play Fortnite for about 4 hours with other poker players, friends of mine. Then, my son gets home from school, and I spend the afternoon with him. We eat dinner; we tell a story. Then, we go to bed, and we do it again the next day! I play poker when I’m in New York every Wednesday or so, sometimes on the weekends at a 5/10 no limit game at the Rivers Casino. So I play a little bit, but when I’m home it’s most family time. If I have to play a big online series, I just go to Montreal, which is the closest city. 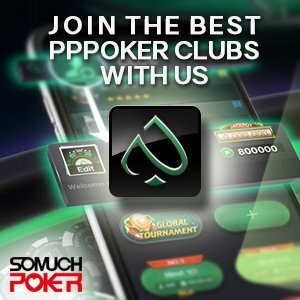 Somuchpoker: You’re known for playing really fast and multi-tabling a lot. If you had to stop playing poker tomorrow, would you consider trying to move to esports? Shaun Deeb: I’ve considered it, yeah. I don’t think I could be one of the top players, but I could be a good streamer entertainer. I like the degenerate gambling side more. People I play Fortnite with, we gamble pretty big on the games, so we’ve had games where people have lost thousands of dollars, which I think people would enjoy watching on a daily stream, especially considering how bad some of the guys I play with are! So we have a very good time; we are a great group of guys. I actually told my wife that I would like to try to build up a Twitch Fortnite channel, but she hasn’t really given me the ok yet, and with all this poker success she kind of said, well too bad, you know, now you have to keep playing poker!